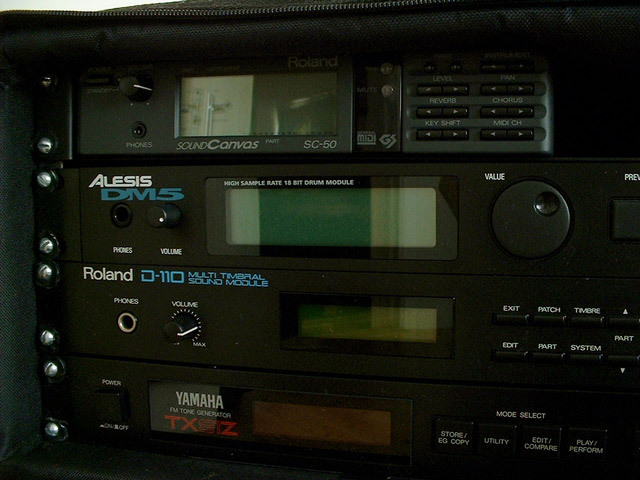 Roland SC-50 A-30. In Dublin, Ireland. 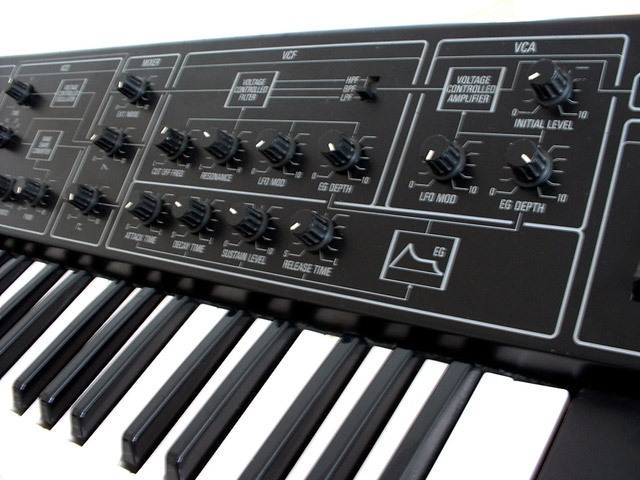 The SC-50 is a GM sound module with extra alternative sounds. All the presets had options for adsr and a real-time controllable filter section (using two NRPN commands and then a data command). This machine was worth the money. At the time I thought it sounded fantastic, now it doesn't match up to the clarity, presence and features of current Roland sound modules. 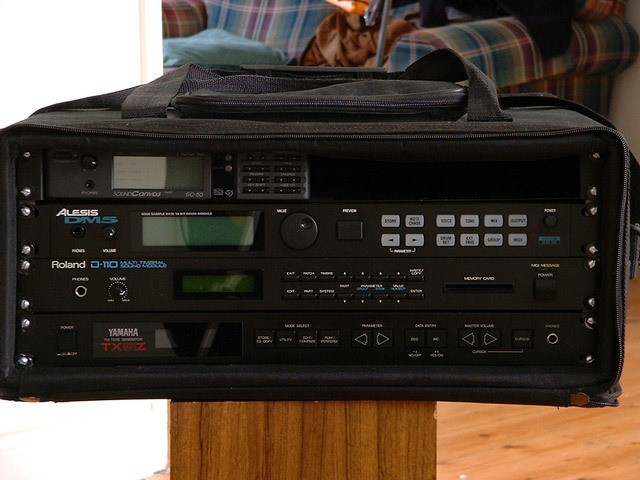 Regardless of this, the SC-50 has provided a backbone of good basic sounds ever since I got it. The A-30 has kept my favour even better. 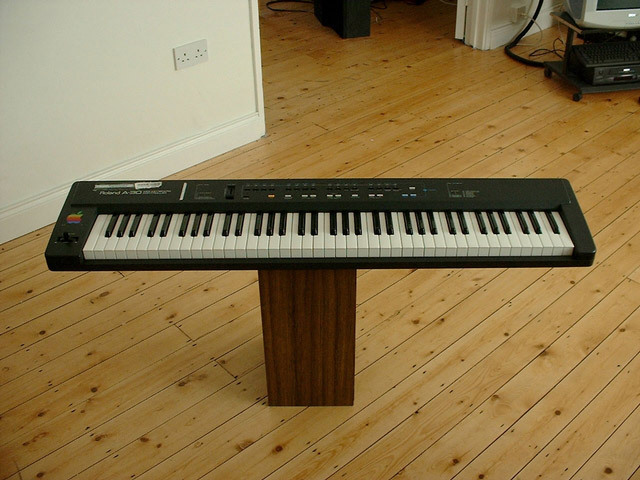 It's an unweighted piano-style controller keyboard with 76 keys, a pitch bend/mod combo, a data slider, octave up/down buttons (as if 76 wasn't enough), and preset buttons. In a nutshell, this machine gave me comfort. Being able to access all the keys at once is very satisfying, and the data slider proved invaluable for adding stuff. A combined pitchbend/mod stick probably wasn't the best idea, but I could assign the mod to the slider if I really wanted. 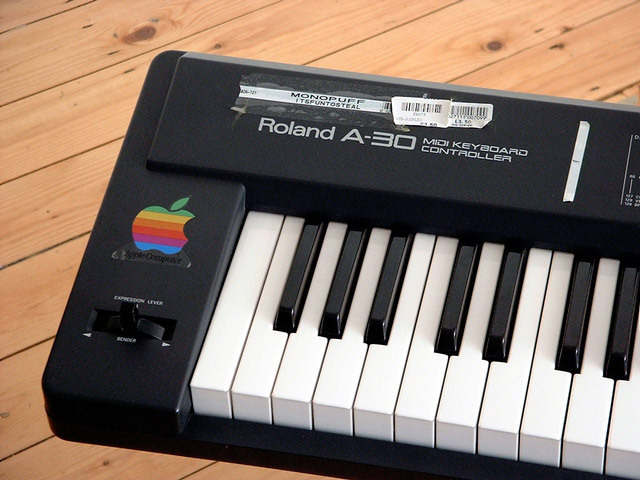 The action was excellent for an unweighted keyboard. Overall, a great controller keyboard.